If you are an electrician working with high voltage equipment (anything rated more than 750 volts) then you should really understand the concept of equipotential grounding and how it differs from parallel grounding. I'll be using 3-phase high lines with a neutral as an example because it's easier to visualize, but once you've got the concept the same theory can be applied when working with high voltage metal-enclosed switchgear as well. Up until the early 70's people in all industries were almost exclusively using parallel grounding to "protect" the worker from dangerous shock hazards when working on high voltage equipment. The trouble was, it wasn't working. Lineman and other high voltage workers were being killed during incidents where lines were accidentally re-energized or had induced voltages and currents from nearby energized conductors. Why wasn't parallel grounding working? The first thing you need to understand is that personal protective grounds are used to maximize the current flow to ground... the goal is to maintain the voltage level at the work location to a safe level until the upstream overcurrent device operates. The ground is acting like a huge motor and when the line is accidentally re-energized someone at the work location is like the light bulb who fades. In theory. In reality, the trouble with parallel grounding is that it didn't work. There would still end up being some voltage drop across the person's body at the worksite and this would cause a deadly shock. If the connections between grounding cables, phase conductors, and earth were not perfect (maybe because of a small amount of oxidization on the conductors) then holding the system voltage near zero was next to impossible. Diagram by A.B. Chance Co. In the case of a lineman working on a wooden pole, the pole would act as a conductor to ground. So effectively you had a set of parallel circuits to ground, one through the ground conductors and one through the worker and the pole. This lineman would be a light bulb that kept on shining. So how does equipotential grounding solve this? It's actually quite simple. Just make sure the ground conductors and (in this case) the pole are at the same potential. You do this by using what's called a ground cluster (for metal-enclosed switchgear you can use a grounding mat). The ground cluster is simply a chain that wraps around the pole and tightened with a wheel binder. You place the cluster just below the worker's feet and then attached to the grounding conductor. This effectively makes the worker a bird on a wire. If accidental re-energization were to occur there would be no difference in potential across the worker's body. 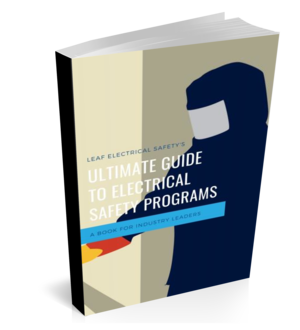 As long as the grounds were sized correctly and proper installation practices were followed, the overcurrent devices will trip and the worker will stay safe.